A ground fault can turn an ordinary electrical cord into a shock hazard. The term ground fault is very common, but understanding exactly what it means requires that you know a little bit about the principles of electricity. Electricity is a form of energy that exists due to unbalanced charges in electrons and protons in a conducting material. This energy flows because of a natural impulse to return neutral balance to the unbalanced charges in the atomic particles. In residential wiring circuits, this flow of electricity is conducted through established metal circuit wires. The natural impulse of electricity—the goal of its flow— is to "return to ground" in order to equalize the uneven charge. This natural phenomenon is what causes static electrity in storm clouds to neutralize their charge through lighting strikes to to the ground. In a residential electrical circuit where electricity is harnessed, the outgoing flow occurs in "hot" circuit wires, while the flow back toward ground occurs through the neutral circuit wires, which are are literally connected to the ground back at the power source. 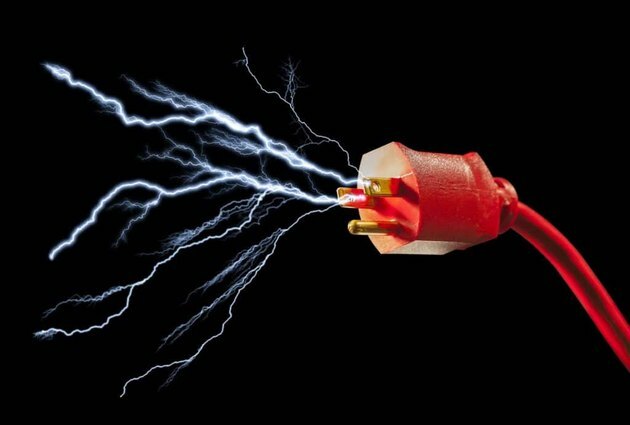 The energy of that current flow from power source, through hot and neutral wires, and back to the source is what causes lightbulbs to illuminate and appliances to run when they are tapped into a circuit. However, when an electrical circuit malfunctions, it can seek a path to ground outside the established wires of the system, and such a situation is known as a ground fault. It is a dangerous situation, because when such a problem occurs, a human in contact with the wiring may suddenly become part of the easiest pathway to ground. The causes of a ground fault in a circuit may include loose connections, worn wire insulation or miswiring that causes the hot wire to directly connect with another pathway to ground. During a ground fault situation, it is possible for a person who touches a live wire, a metal electrical enclosure, or a damaged plug to provide that direct ground path if they are in direct connection to the earth. These conditions are most often met in damp locations, such as bathrooms and kitchens, since water is a very good conductor of electricity. These conditions can also be met outdoors, where a person stands directly on the earth. When a ground fault occurs, the pathway to ground immediately becomes unrestricted, with no resistance, and this causes an enormous sudden increase in current flow. When a ground fault causes current to spike in this way, the circuit breaker for the circuit trips and shuts off the power. If a circuit in your home immediately falls dead, there is a good chance that a ground fault has occurred. Homes built before 1970 may still have ungrounded circuitry. All it takes to make a complete AC circuit is a hot wire leading from the power source and a return (neutral) wire that goes back to the source. The neutral wire is technically a grounded wire, since it is connected to ground at the power source. Connect these wires properly to the various devices in the circuit, and electricity flows. In the early days of electricity, these were the only these two wires in the residential circuits, but there was a problem in these early systems. If the hot wire came loose, or the insulation wore through, it could contact metal electrical boxes and metal components of devices such as switches and light fixtures and energize them. People touching the devices could get a shock, and frequently did. Gradually, various methods of improving circuit safety were introduced to residential wiring. The mandatory introduction of an additional ground wire to each residential circuit has greatly reduced the frequency of such shocks, as well as the incidence of electrical arcing and fires. The ground wire connects each device to a earth via a ground rod or a water pipe, giving residual electricity a safe escape route. In normal operation of a circuit, the bare copper ground water does nothing whatsoever, but in the event of a ground fault, it provides the easiest path for electricity to flow back to ground, ending any danger. With an easy pathway to ground, leaking electricity is less likely to cause shock or fire. 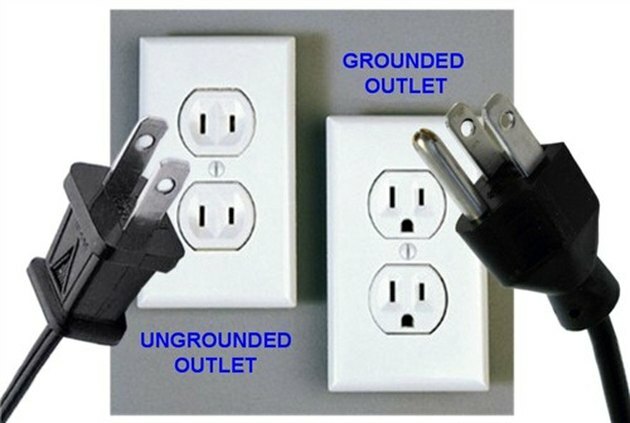 Grounding also protects sensitive electrical equipment. If the current surges because of a short circuit, a lightning strike or for some other reason, the ground wire provides a path to ground so the power surge doesn't burn out the equipment and create electrical arcs that can start fires. When a ground fault occurs, a breaker in the panel should trip. Electrical systems have always included some type of automatic shutoff system. In days gone by, fuses served this function, and today this function is served by resettable circuit breakers. The fuses or breakers are designed to stop the flow of power when the current exceeds their rating, which is is exactly what happens when there is a ground fault. When a ground fault occurs, it's as though the electricity in the hot wire is suddenly released from its cage. It's always trying to complete the circuit, and can do so only partially when flowing through high-resistance loads. The sudden appearance of a low-resistance ground path opens the floodgates, and the current flow jumps dramatically, heating up wires and arcing between loosely connected wires. The circuit breaker is designed to detect just such an anomaly. It has a heat-sensitive switch that shuts off as soon as the current spikes. Once it trips, you can't reset it until you've corrected the conditions that made it trip. That may involve some detective work searching for a loose connection or wires touching each other. 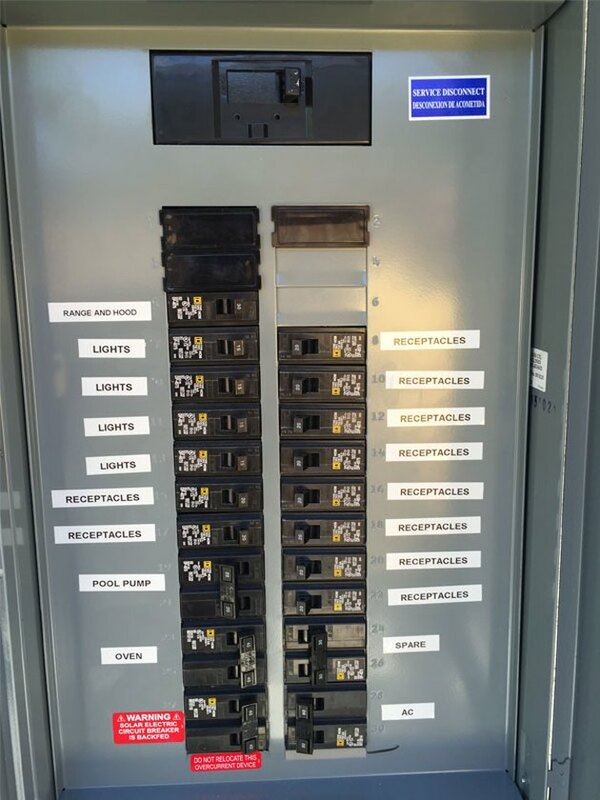 Because standard circuit breakers are relatively crude devices, there exists the chance that the circuit breaker will not instantly interrupt the current flow in the event of a ground fault. For this reason, there are special GFCI circuit breakers that are much more sensitive to changes in current flow. 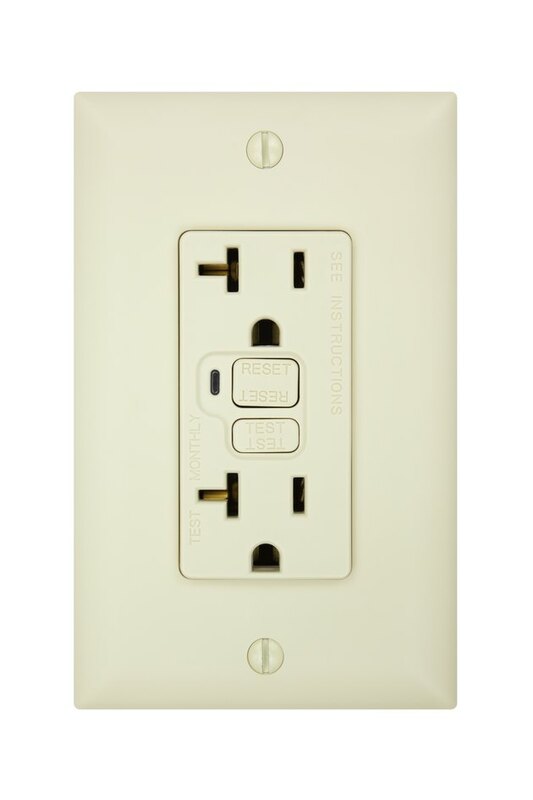 Where circuits serve especially vulnerable locations, it may be protected by one of these special GFCI circuit breakers, which will protect every light fixture, outlet, and appliance powered by the circuit. If the circuit breaker doesn't detect a ground fault, the results can be disastrous. Suppose you plug in an appliance with an internal wiring problem that causes a ground fault. The heat generated by the surge could be enough to melt the plug or start a fire before the breaker notices the surge and shuts off. If someone is touching the plug and happens to be barefoot, power could just as easily flow through that person. It could be fatal; even a millisecond of high-voltage electricity can stop the heart. 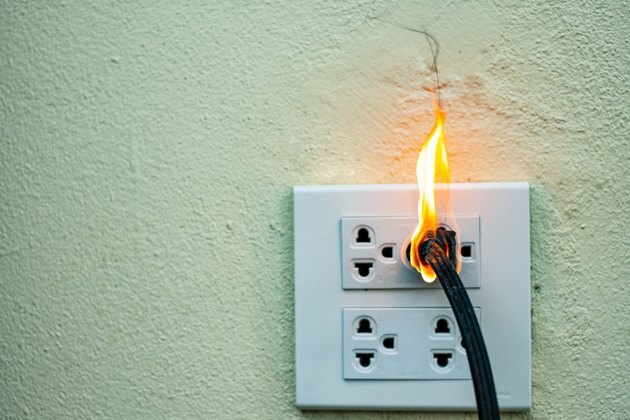 To prevent either one of these disasters, the electrical code now requires GFCI outlets in certain parts of the house, including bathrooms, kitchens, laundry rooms, basements and all outdoor locations. The GFCI functions like a circuit breaker, but it has a lower current threshold and will shut off sooner than the breaker. A GFCI outlet has a resettable breaker that trips when the current surges. If you have a power outage in part of the house, and none of the breakers have tripped, a GFCI is usually the culprit. When a GFCI trips, it cuts power to all the devices wired after it in the circuit. You may have to press the reset switches on all the GFCI outlets in the circuit to find that one that clicks, but it's usually the one closest to the main circuit breaker panel. Houses built before 1962 were not required to have grounded circuitry, and many still don't. If you live in such a house, there's no time like the present to start planning a panel upgrade and new wiring. If that's not in line with your or your landlord's budget, there are other ways to get the protection of grounded circuitry. Replace all the circuit breakers with GFCI breakers. This doesn't protect your equipment from a power surge, but it can prevent fires and electric shocks. You can't do this if your house has a fuse box. In that case, proceed to the next two options. Install GFCI outlets. You don't have to replace all the outlets in your house. If you can identify the first outlet in each circuit, replacing that one will provide ground fault protection for all the others. Purchase and use only double-insulated tools, appliances and light fixtures. If a fault does occur, the insulation protects you from shocks.